Beginning September 4, 2012, visitors to Fernbank Museum of Natural History will have the unique opportunity to get an inside look at what it takes to be a first-responder in the new IMAX® film Rescue. Profiling four individuals who dedicate their lives to saving others, Rescue gives audiences a behind-the-scenes look at the adrenaline-filled work of two pilots, a naval commander and a volunteer rescue technician. Viewers will jump, dive and fly into the worlds of these four brave heroes, and share in the highs and lows that come with being an emergency responder. 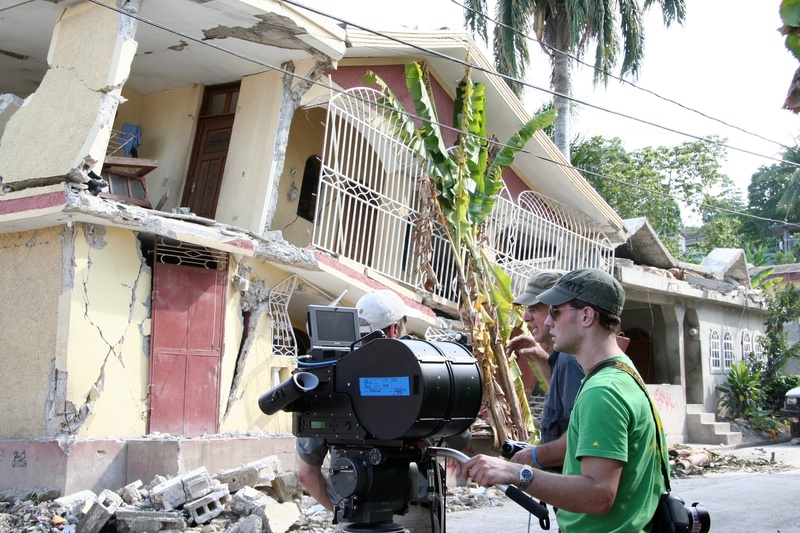 The film documents each character’s journey from disaster training to real-life relief efforts, as emergency teams from around the world are called to provide vital aid in the wake of the 2010 earthquake in Haiti. Director Stephen Low created the film to recognize all the brave men and women who provide help and hope in times of dire need. “It’s impossible to witness that level of devastation without finding solace in the extensive personal contributions of time and effort made by both professionals and volunteers that rally to help in the worst of times,” said Low. Rescue provides an authentic look at the scale of devastation and chaos in Port au Prince, and allows viewers to witness the difficulties that first-responders faced as they worked to save lives during the biggest humanitarian disaster of the century. Collectively, their interwoven stories bring a sense of quiet humility and devotion to others. On Friday, September 7 and Saturday, September 8, the Museum will host a special appearance by Steven Heicklen, one of Rescue’s main characters. Steven is a private businessman, husband and father of three. In his spare time, he serves his neighbors worldwide as a volunteer firefighter, Emergency Medical Technician and a FEMA-certified Emergency Manager. Steven will be on site Friday afternoon and at various times during Saturday to sign autographs and introduce select showings of the film. For a complete schedule, visit www.fernbankmuseum.org/experience-imax. *Films and run-dates subject to change. IMAX® tickets are $13 for adults, $12 for students and seniors, $11 for children ages 12 and under, and $8 for Museum Members. Value Pass tickets, which include both Museum and IMAX admission, are $23 for adults, $21 for students and seniors, $19 for children, and $8 for Museum members. For tickets and visitor information, visit fernbankmuseum.org or call 404.929.6300. Rescue is directed by Stephen Low and produced by The Stephen Low Company (producers Pietro L. Serapiglia and Alexander Low), executive produced by K2 Communications (executive producers Bob Kresser and Jan Baird), and presented by The Boeing Company and Canadian Forces Maritime Command. Low is a Montreal-based filmmaker whose past works include films such as Titanica and Volcanoes of the Deep. The film has been rated G and has a run time of 45 minutes. Ten cents from every Rescue ticket sold will support American Red Cross Disaster Relief to help those affected by disaster anywhere in the world. For more information, visit www.rescue-film.com.